While I cannot control the economy or greedy CEOs, I'll work hard to give you better prices than your current vendor does for food packaging containers (including eco-friendly food packaging, custom food packaging and custom logo'd cups, bags, napkins etc.) as well as for standard and green janitorial supplies. Over the course of our long-term relationship, I'll show you creative and innovative food packaging containers that can increase sales, decrease cost and improve portion control. These are key to increasing your PROFIT! Let your stress be my stress. Every company or individual makes a mistake from time to time & usually when it matters most! My follow-up on your behalf is the best in the food packaging business. Did Imperial Dade short-ship the containers you need to serve lunch? Did you get that credit for the returned case of napkins? Oh no! You have a huge catering today and someone on your staff forgot to order the plates that you are out of? LeoLight’s VIEWS Clear-Can wick chafing fuel makes it easy to see how much fuel is left. Maximize the use of your fuel and never waste a drop! Operators gain unmatched value and performance with Leolight’s exclusive VIEWS™ chafing fuel. VIEWS™ Wick Chafing Fuels offer control, confidence and ease of use. All recyclable materials. No more waste, no more guess work. Promote your business! Make your brand stand out! Due to the popular use of quarter sheet trays in Foodservice, Hoffmaster® now offers a custom 9" x 12" Tray Liner. 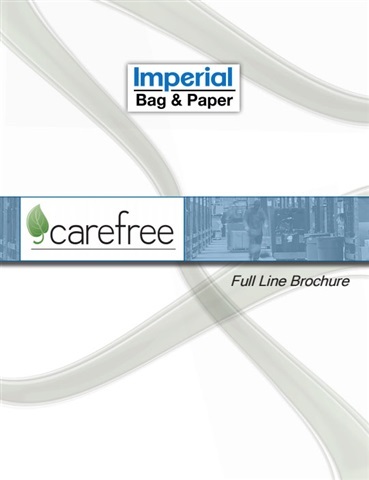 This is the same tissue we use for our current Custom Basket Liners / Sandwich Wraps, made out of 18 lb. waxed tissue. Disposable Catering Carafes with Polypropylene Lids are made of sturdy PETE Material. They are great for portion control, individual servings, and drinks or dressings. Available in 3 convenient sizes. 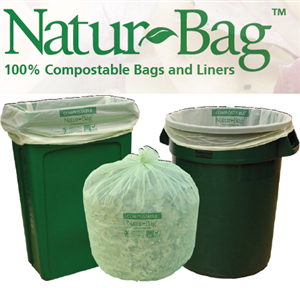 Devoted to creating a better planet, VerTerra’s compostable dinnerware offers a variety of ecofriendly, sophisticated, and fairly priced single-use dinnerware that appeal to the environmentally-and socially-conscious consumer. Use for: Floor Care, Carpet Cleaners, General Cleaners, Degreasers, Restroom Cleaners, Hand Soaps. 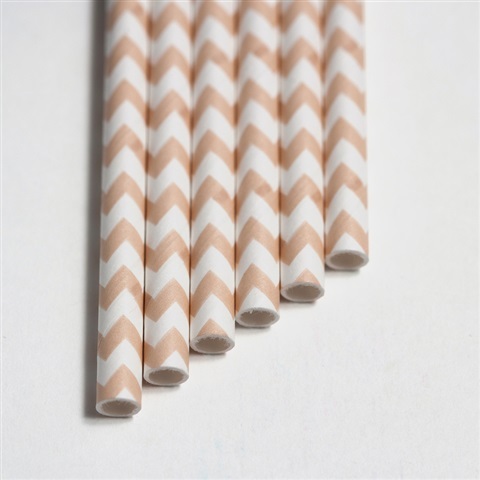 Imperial Dades paper straws are made in the USA and always have been. In 1888, a man named Marvin Stone patented the first paper straw. Our straws are the safest, sturdiest straws on the market. They're non-toxic, 100% chlorine free and the only FDA food-grade approved paper straws made today. We can print your message or logo directly onto our standard or milkshake straws. Whether you're a food service provider or a party planner organizing a large custom event, we also have the ability to print your brand on the wrappers of any of our products. Atlas Match offers the highest-quality custom book matches, box matches, and coasters produced here in the USA! Proudly serving thousands of quality minded organizations who rely on unique, high-impact products. 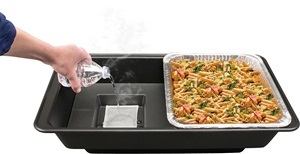 Sterno SpeedHeat is an instant, flameless food warming system designed to make quick-serve, drop-off catering SAFER, SIMPLER and FASTER. Exceed your customers expectations and increase profits by optimizing your Catering Menu and providing hotter, more delicious food for quick-serve events. Expand your Drop-Off Catering service into locations with open flame restrictions such as Churches, Stadiums, Casinos, Historic Buildings. Instant Heat activates in under 1 minute and keeps food warm for up to 45 minutes. Iconex Sticky Media consists of two products in one, receipt paper and a linerless pressure-sensitive label, and provides a solution to efficiently label, identify and track goods all in one product. Customizable to your operations. Costs the same as, or less than, common labeling methods. Extends the cutter life by 67%, because the printer cuts through paper, not adhesive. A restaurant serving 150 orders per day, could save $1600 per store, per year on average. This unique new design provides you and your customers with options for most cold drinks. With a tight seal, crystal clear PET and an innovative drink spout, your customers will enjoy their beverage to the last drop! New Victoria Bay Dispensing Systems add a touch of class to your facility and are available with refreshing, spa-quality foam soap formulations that people love. Whether you choose manual, touch-free or our new touch-free systems powered by energy that's right on the refill, your maintenance team will appreciate the advanced features that make maintenance a breeze. Choose foam soap, antibacterial foam soap, shower soap or our breakthrough new Victoria Bay Ultra Clean Foam Hand Soap with Clean Release™ Technology. Unlike regular soap, Ultra Clean Foam Hand Soap removes over 99% of dirt and germs2,3 – without the use of antibacterial ingredients!